Let Us Help You Raise Dough! 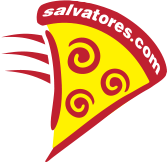 Sell Salvatore's Gift Cards and raise money for your non-profit group, team or organization. Please complete the following form to put your non-profit group in contact with our marketing team. What is the name of your non-profit organization?